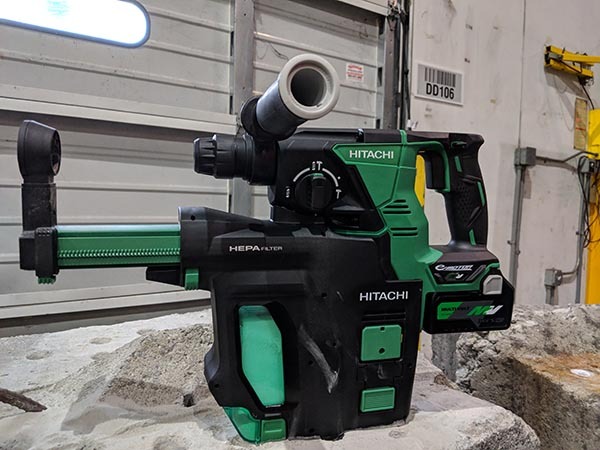 We recently visited the Hitachi Power Tools in Atlanta, GA and got our hands on some exciting new cordless MultiVolt tools that are rolling out later this year in September. 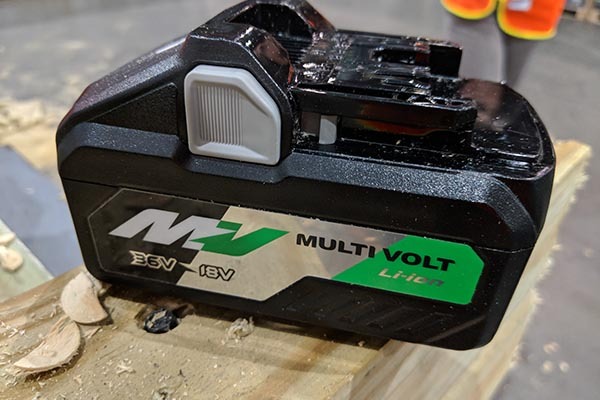 MultiVolt will be somewhat similar to what DEWALT is doing with FlexVolt in the sense that Hitachi’s MultiVolt can be either 36V or 18V depending on the tool it’s attached to. What’s really exciting about this release is how similar the size of their existing 18V packs compared to the new 36V MultiVolt packs. The height of the packs is nearly identical, while the width is slightly larger, these new packs will fit into older 18V tools providing much longer run time and additional power. The new packs that are coming out will use the newest 21700 lithium-ion cells, with the larger packs using 10 cells for 144 watt hours. 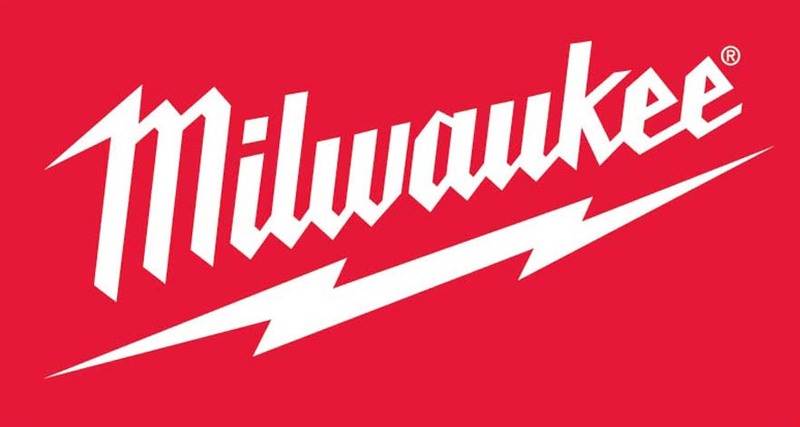 We’ve heard rumor that Milwaukee will also be moving to these cells soon as well. Much like FlexVolt, these packs can either put out 36 volts at 4 amp hours, or it can be used as an 18 volt pack with 8.0 amp hours. These new packs will be backward compatible allowing them to run older 18V Hitachi tools, giving them much longer run times. 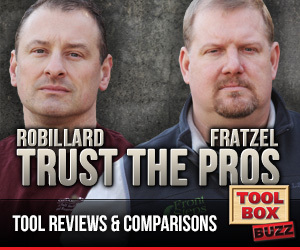 It’s worth noting, that the older 18V packs will NOT be able to work with new new MultiVolt tools however. These new batteries should be available in September 2018 and the 36V (4.0 Ah, or 18V 8.0 Ah) packs will retain around $100. Another feature of this line that’s sure to get lots of attention is an available AC adapter that will fit all these tools. Users will be able to plug any of these MultiVolt tools into an AC adapter. 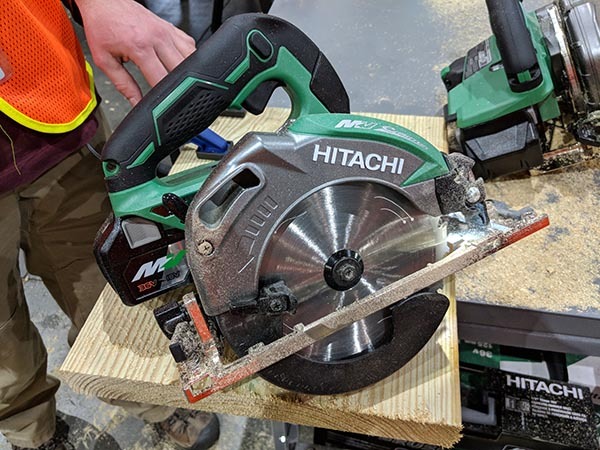 So we’ll be seeing the very first cordless table saw with AC adapter, and each of the tools listed above can be run with a cord when demand requires it. Both the table saw and the miter saw will come with the adapter included. 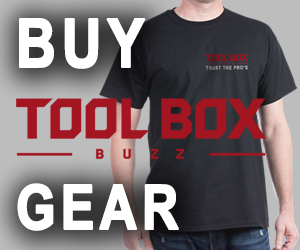 The other tools an adapter can be purchased as an accessory. 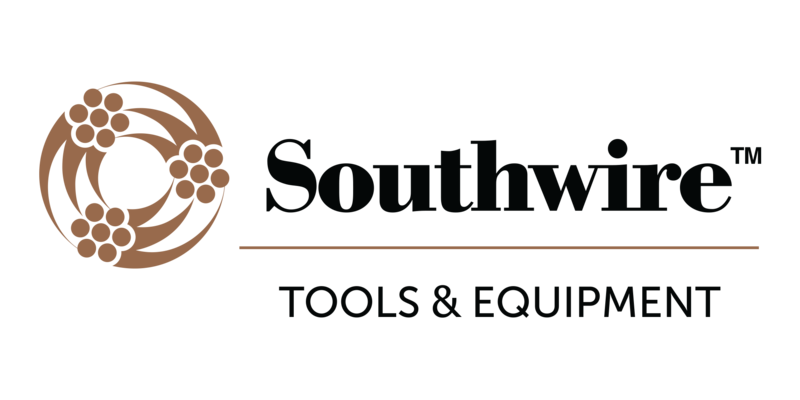 We are definitely interested in seeing the 10″ table saw due later in the Spring of 2019 along with the miter saw. As more details emerge about this new platform we’ll keep everyone updated.